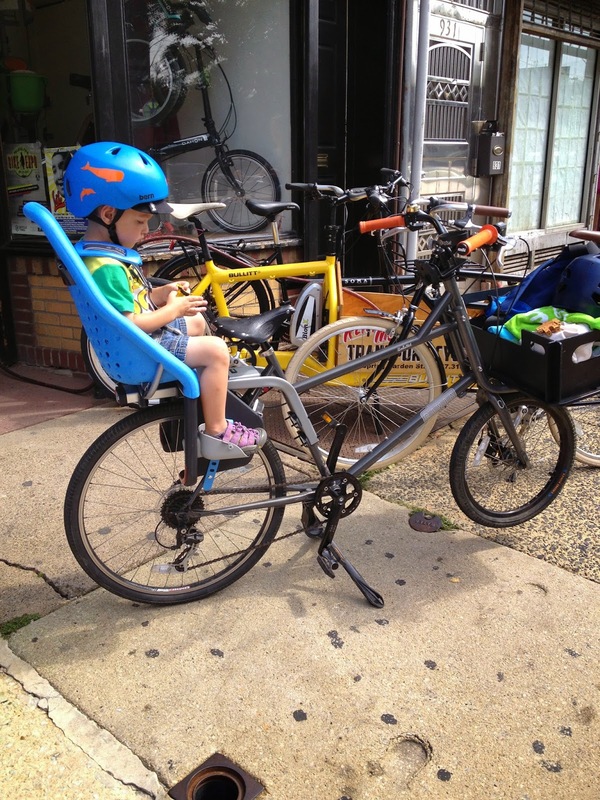 Philadelphia’s bike infrastructure is not age friendly. Biking in traffic, controlling your lane, moving with cars, and weaving around vehicles parked in the bike lane take physical strength and mental acuity. You have to be alert to what his happening around you in every direction and be able to react quickly. 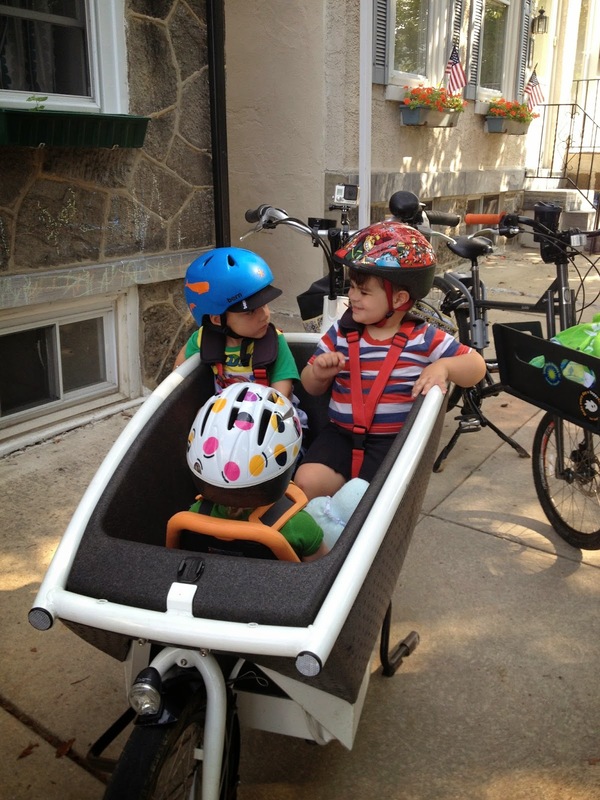 Philadelphia’s biking infrastructure is made for healthy young people on fast bikes. It’s not made for kids, older adults, or those with health issues that make them less alert or physically weaker. I got to experience this first hand last year. As I turned 40, I felt like my life was in a great place: husband, kids, and job were all great. I thought I was the healthiest I had ever been. My 40th birthday gift was a brand new bike. A gorgeous Civia Twin City step-through. 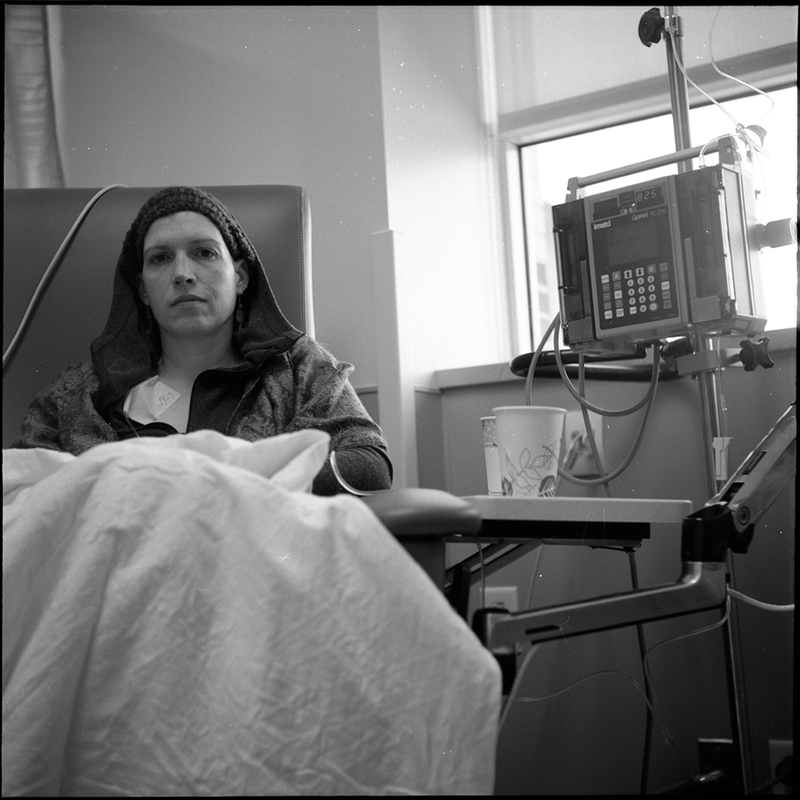 Three weeks later I was diagnosed with an aggressive stage 2b breast cancer. The night before my surgery, we were trying to figure out how to get to the hospital for my 5 AM check in. Of course, we rode bikes. 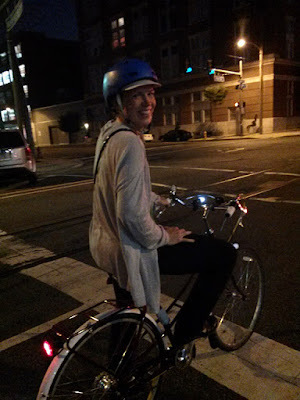 I rode a bike to my double mastectomy surgery! It felt like a ‘in your face, cancer’ moment. The surgery and chemotherapy treatment over the next few months took all of my strength. I kept coming back to my comment to Clarence about biking making me strong. It did not feel like a stupid comment anymore. Because of my weakened immune system, my doctors did not want me to take public transportation or cabs. They did want me to exercise because it helps with managing chemo side effects. This would make biking the perfect option, if not for our lacking infrastructure. 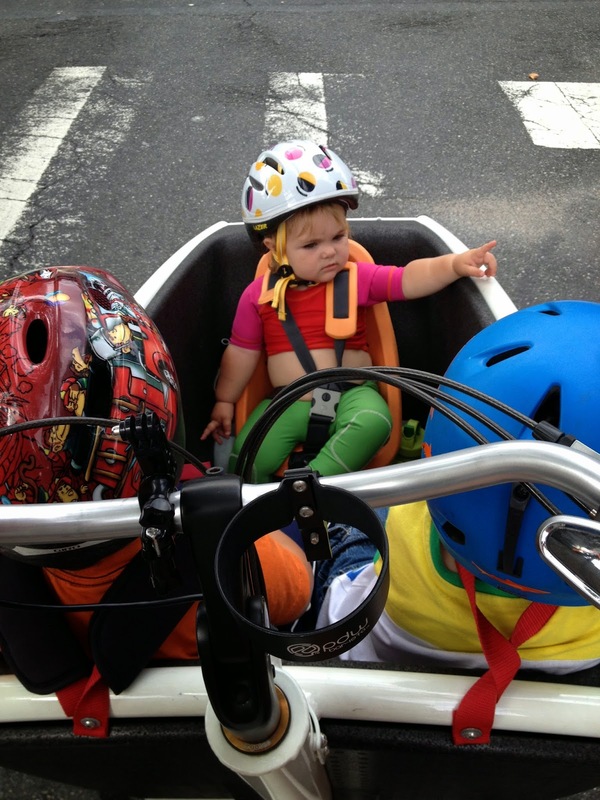 I had to give up biking because I was not strong enough to move fast enough to ride safely in the street with cars. Chemo also dulled my senses and reaction time, so it was hard to pay attention to all the things I needed to in traffic. If there were bike lanes with no cars parked in them – in other words, protected bike lanes from neighborhoods to/through Center City – I could have biked to my numerous doctor appointments. In a protected bike lane, I could bike slowly and would not have to think about 2-ton + vehicles until I reached an intersection. 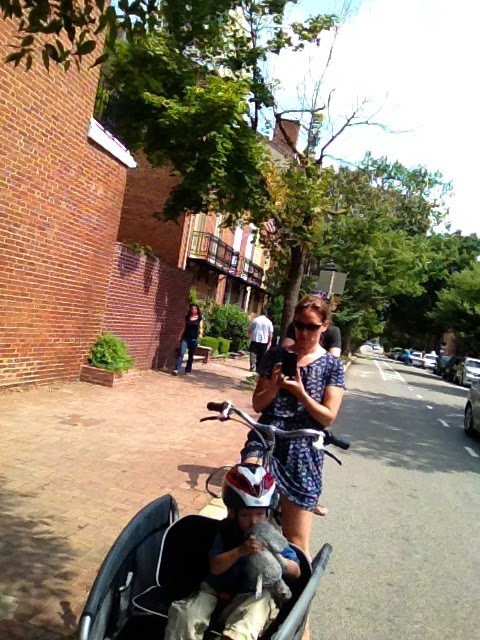 In a protected bike lane, my mind and attention would not need to be on a frantic 360-degree swivel. I am well now. The cancer is gone and it’s been 9 months since the end of chemo and a year out from surgery. 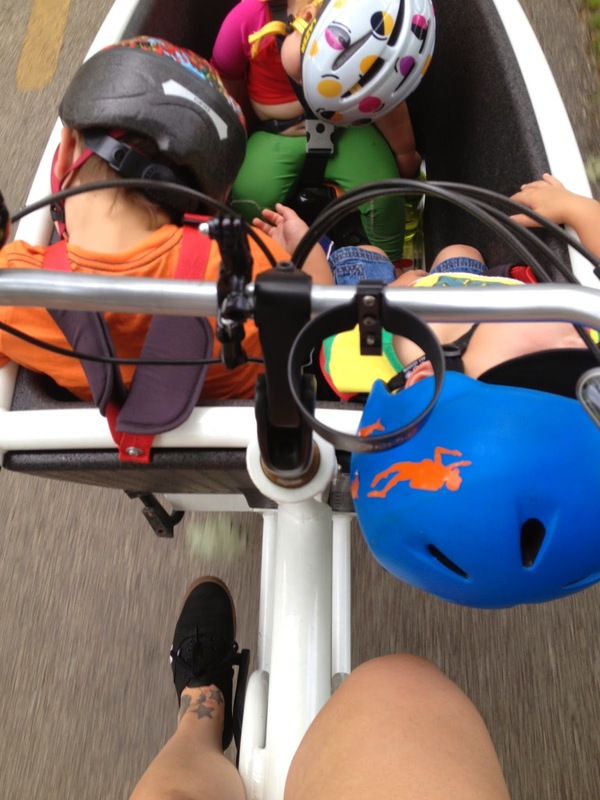 I am back riding either my beautiful Civia or my big ol’ bakfiets with the boys. I am regaining my strength, which I truly value. And I am teaching my 7-year old how to ride alongside me in the street on his own bike. Having experienced this illness, I caught a glimpse of what it will be like as I age and reach a point where I am no longer as strong or fast. Or even now, there are days where I want to bike at a leisurely pace. 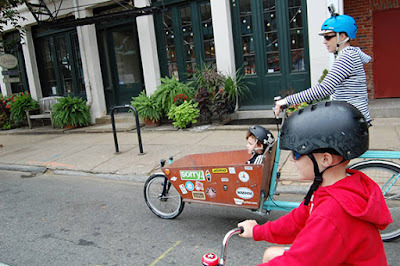 I want my son, on his small single-speed bike to feel safe and that he can move at a speed comfortable for him and not feel pressure from a driver behind him wanting him out of the way. 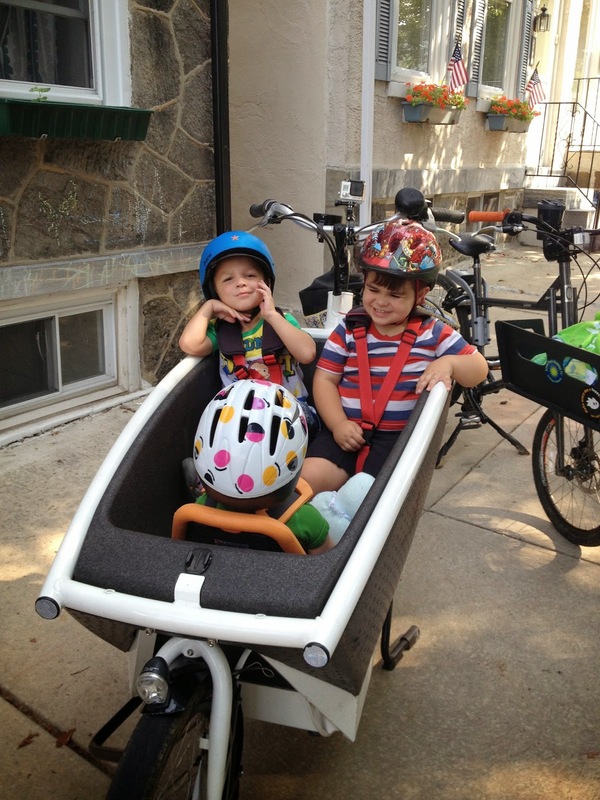 We should be building infrastructure in Philadelphia for all ages and abilities. I want to bike in this city well into old age. 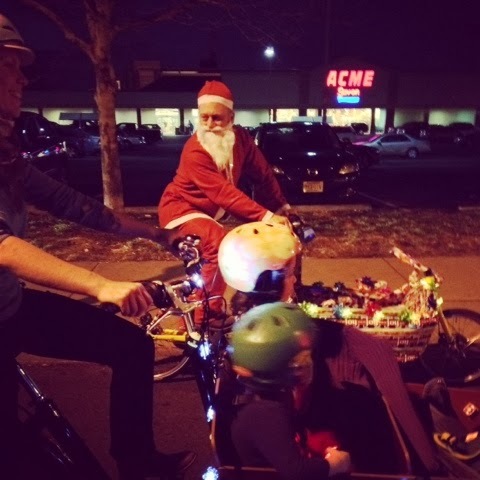 I want my kids to be able to bike with me on their own bikes. 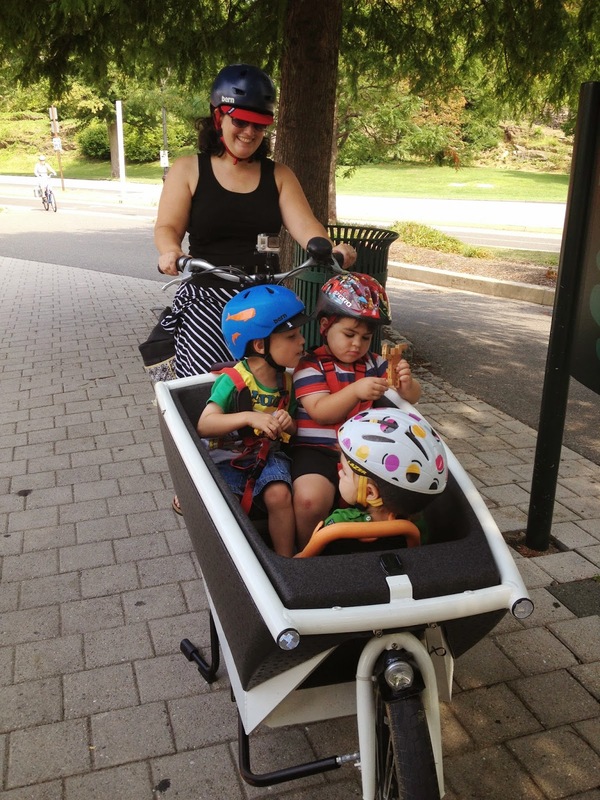 Seriously, they are heavy, and I can’t keep carting them around in my bakfiets forever! We need to protect the most vulnerable and create a safe space in the road for riders of all ages, abilities, and strengths. The Frame: The bike is lighter then the 2013 version. I was told by the UA's designer the aluminum and hardening process are different then the original so the bike is lighter and rigid. There is less give in the bike which I can totally feel on bumps and what not. Handlebars: They seem more narrow then my original giving me a more aggressive position personally. I need to move it about a little to re-achieve the upright feel I prefer. Brakes: I am upgraded to the disk brakes they are more powerful at quick stops but I still then the roller brakes were pretty great too perhaps over long term I will like the disk more. In the 2015 version my fenders now allow me to have fully filled tires! Yay. The tires are big apple+ they are so far so good. The front wheel on this bike is quick release, which made my head hurt. I sometimes like my bike by the front wheel soooo will need to put skewers in it. Box: Same look and feel. Kickstand is now spring load. Harder to kick down and it no longer connects with magnet when you push it up so I keep feeling that I haven't locked it. Will take some time to retrain myself. Lights: They are no longer generated by hub/wheel they are connected through the assist's battery. They seem bright but my last ones were even brighter. They do still have standing lights. I also like how you can turn the lights on from the reader but hub lights that were always on is just awesome for forgetful people like me. Base plate is still perforated but has a section that is not. Not sure why they changed that from my 2013 model. BELL! Still loud and amazing. I never loved a bell so much. Seat: Comfy and has a nice handle on the back if someone is riding on your rack. The whole reason I have a new UA is because my old one had extraordinary problems beyond what UA had seen before and felt that it was better to replace it, a lot had to do with my reader/motor and then my replacement motor. I am very excited to have a Bosch motor now as my local cargo bike shop Firth & Wilson are actually trained in fixing these motors. So on to the Bosch! The 2015 has a Bosch upgrade to the Intuvia system which has a reader mounted mid bar and the speed control on a separate unit on left so you don't have to leave the hand grips to change speed or change info you are viewing. The unit itself lights up gloriously so you can see it in the dark perfectly. The system reads in several languages, km/mph and even gives you the time. It also now tells me how fast I am going. By fast I mean not really. I leave my home mid-hill the perk of the 2013 Daum system was it kicked on the second you pedaled, I was pretty shocked that the Bosch took a rotation to kick in. I am sure I can retrain myself but I was use to a quick start up with the Daum so that was a bummer. Bosch has 4 levels: Turbo, Sport, Tour and Eco. There is a great range with the levels and really liked them. I mostly mixed them about. With a mix relying heavily on Turbo/Sport on a gross rainy night home I had a range of about 20 miles on the battery. The battery itself is way lighter then the 2013 Daum battery and honestly very sleek. It still fits in under the bench seat. So that is all I have for now, I plan on doing a full review of the bike after I ride it for 100 miles or so. So stay tuned. 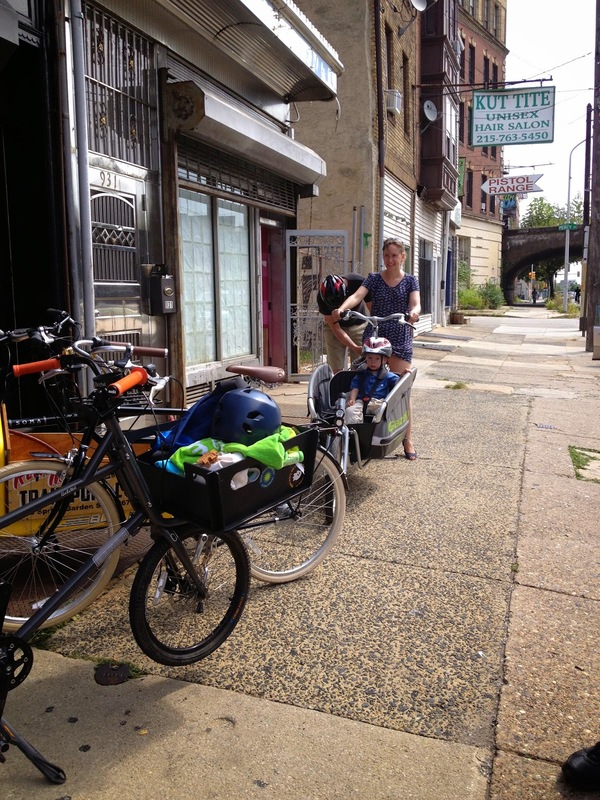 Last weekend on the way to the Philly Bike Expo I got my very first flat tire on the Urban Arrow. This is also commemorates my second flat tire ever and the only Kidical Mass Philly ride I have ever missed. I was riding on the Kelly Drive MUP and used the small gravel section trying to get through a bunch of congestion. I hit a very sharp object that instantly caused the flat. Yes, they were both asleep the whole time, during the flat and while it got fixed. They never left the bike. Did you change the whole tube? Oh hell know. 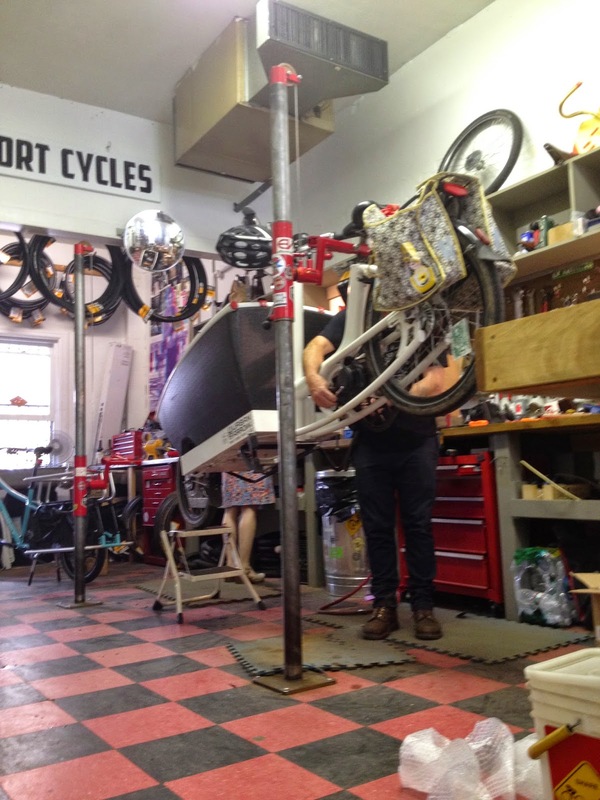 Have you seen the bike tire of an Urban Arrow? My husband patched it for me. 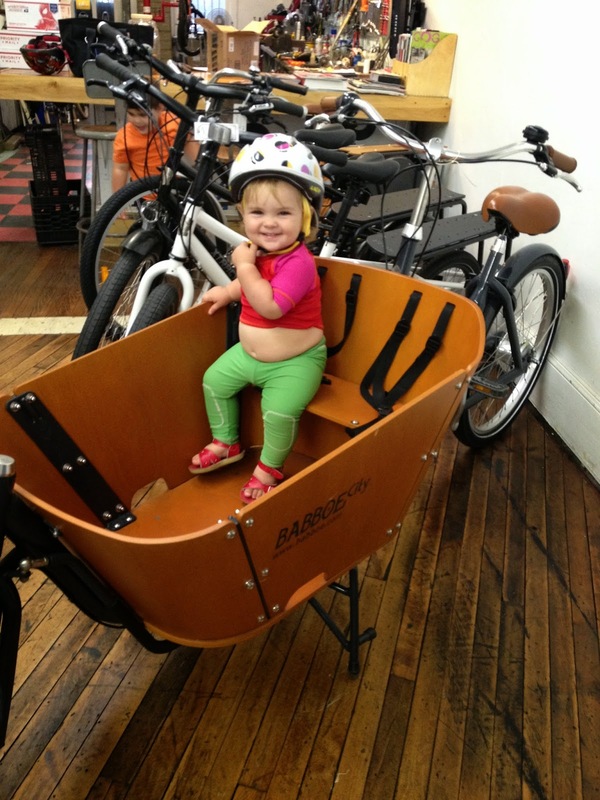 The kickstand on a cargo bike holds one tire up. Usually it is the lighter front tire. We just applied more weight to the front tire by placing my husband's bike on it to pop the rear tire. Like 15 minutes tops. But I fully admit my husband did it and he's quick at these types of things. 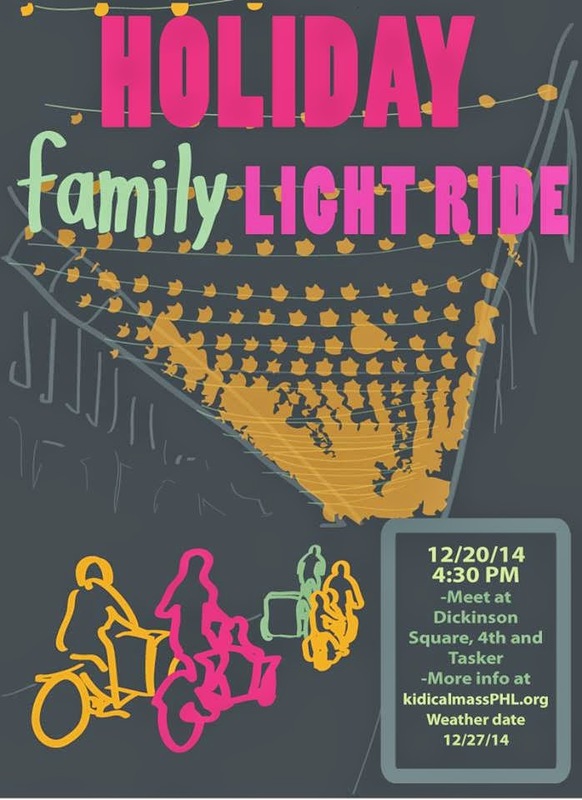 I can't believe that Kidical Mass Philly's Holiday Family Light ride is already on my calendar. It is almost depressing how quickly the holiday's sneak up on us now a days. 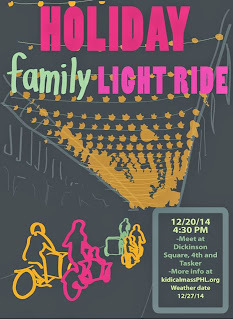 But please mark your calendars for Dec. 20th to spin around the most sparkling lights hung across rowhomes in America. 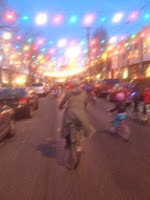 Speaking of holidays we at the BMD house are thinking we are going to buy our two younglings some bikes for Christmas. Our oldest has snubbed the Strider bike we bought him for his second birthday for the past two years. I was pretty sure we were going to have to go with training wheels as at almost four he grew too big for it and I sold it. But I saw him try out an REI balance bike that was heavier but built clearly more sturdy and realized he could balance and coast on a bike. I turned my eyes over to WOOM bikes who I have been chatting with on and off since I saw their launch here in the US. Let me say these folks are excited about bringing another quality bike to the US for kids. They have been answering all my inane questions including going as far to use a tape measure and take pictures of the hand brake's distance for me and have been so helpful with sizing, they suggested I go with a 14 inch bike for our son's height and letting me know it comes without pedals so I can let him use it as a balance bike first. These bikes are made with actual bike parts so bike nerd families like mine can feel comfortable spending the money to insure we are getting a quality product from a small business in return. 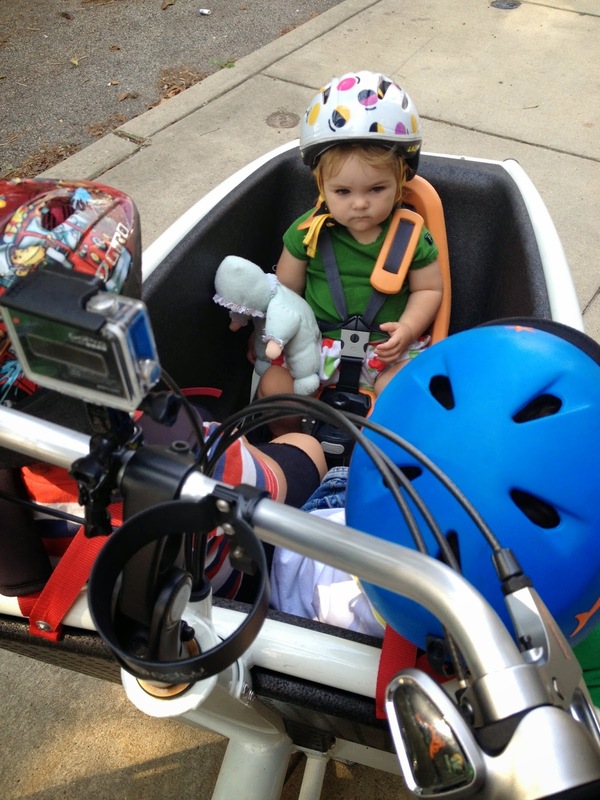 Don't worry Miss J is more balance bike sized and WOOM makes those too. My husband was swayed by the 30 day back money guarantee. P.S. 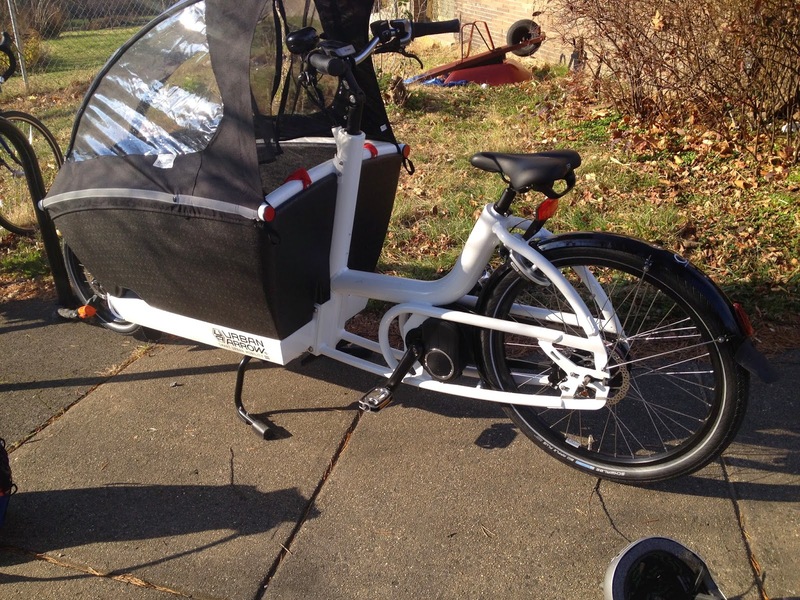 I am getting a new Urban Arrow since my daum motor issues were beyond repair from aboard. It will be here this month and I can post more after I get it. The woes of this story are basically the hills and this bike might not be so compatible and the bike since a year has seen a lot of bike shop time. Since the bike turned a year the motor needed to be replaced, the Nuvinci n360 hub broke and my front ring chain and now I am having continued problems with new motor and reader. SIGH. Shortly after a year my motor started acting crazy the pedals were kicking back with a mind of their own. I brought it into Firth&Wilson and they contacted Rolling Orange who contacted Urban Arrow and they determined to just send me a new motor as they hadn't heard of this issue. The new motor arrived and was put in. Firth&Wilson pulled apart old motor and found the offending party a broken pawl. The new motor had made my bike WAY faster then my old motor had ever worked. It had to be reset in the mounts a couple of times because like my original motor it's placement was causing rubbing on my pedals to the frame (which put a knick in it when I first bought the bike). The increased power only lasted about month before I could feel decrease and something off. The bike began making a POP sound when I would go from a stop to a start. I made in through most of summer staying in contact with Rolling Orange, the bike started making a noise and the discussion was that maybe it was my hub. Around the same time my reader started flashing low battery at all times (even on a full battery), this happened with the bike shortly after I bought it too and Rolling Orange replaced the reader for me. I was literally on my way to drop my oldest at preschool two weeks ago and to bring the bike into Firth&Wilson to check on hub when suddenly as I entered an off road path my bike pedals and crank stopped working. I would pedal and nothing would happen. Let me tell you this is horrifying. I coasted down a small incline and then I pushed my bike a .5 mile to a bike rack and cafe and made some pretty frantic emails and calls to figure out what to do. I was too far from my home and too far from the bike shop. My husband was luckily able to borrow a van from work and came to rescue us (back up plan was Firth&Wilson were going to tow it with with their Bullitt). F&W determined I broke another pawl but this time in the hub, the N360 has a two year part warranty it took about 5 days for the part to make it to them to replace for me. F&W also had to replace frayed cables to it as well and noticed my front chain ring needed to be replaced as well as the canopy caused some splintering in paint/frame from front mounts. My reader is still not reading right and my motor is still running at decreased power and making an audible POP sound. UA thinks I might have wires misplaced but it doesn't explain the POP sound. So back to F&W it goes. I will be honest I am feeling really discouraged at moment, I need reliable transportation to get my kids to preschool and me to work everyday. 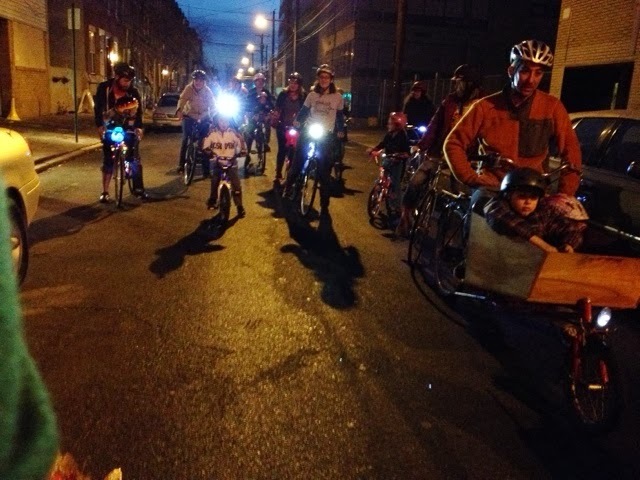 Last week in Philadelphia your resident biking mom advocates (Marni and I), had the pleasure of hosting some really lovely mama bikers here in Philadelphia: Kidical Mass DC, Megan (with her eldest, KidA) and Back on My Bike, Suzanne (with her husband and son). In the AM Megan and I biked down from my home in NW Philly, I had our three collective kids in the Urban Arrow and she rode the Civia Halsted (which I set up with a bracket for YEPP Maxi). After we got on the river trail, we switched bikes so Megan could have a chance to try out the UA. I got some time on the Halsted which was a blast, I really want to xtracyle that bike out, the last time I rode I fell off at 6 weeks post-partum with J. We switched back at the end of the trail so I could move the bigger bike around the city as at the gazelle I am. We finally running a bit late met up at the ever lovely Firth & Wilson to pick up rental bikes and kids seats for a day of adventure and bike infrastructure spotting around the city. Speaking of Gazelles Suzanne rented the Cabby and her husband a Brooklyn Cruiser, we rented a rear Yepp Maxi for the Halsted and off we went. Our plan was F&W to the pop-up park at Spruce Street Harbor. 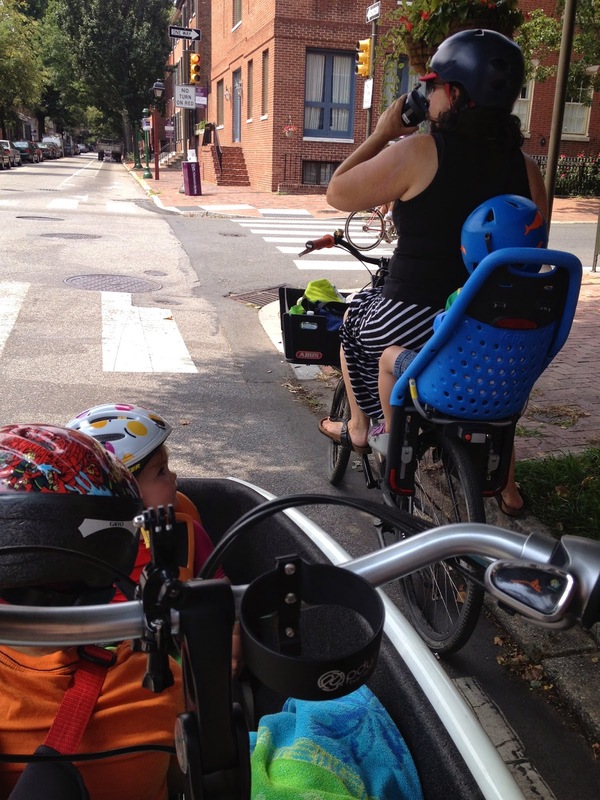 We rode down the bike lane on Spring Garden, while Marni's oldest rode along on the side walk. Bike lanes next to parked cars are not ideal for children to ride in between the possibility of right hooks and car drivers' doors. 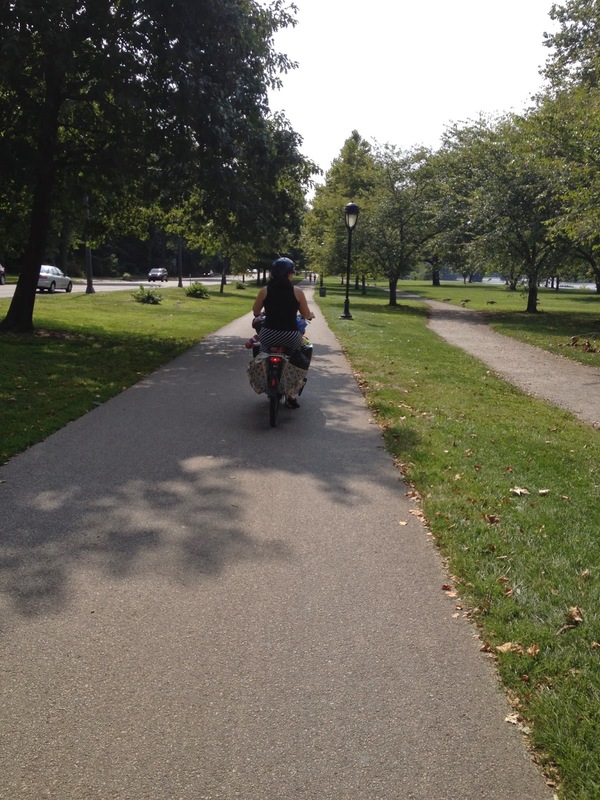 We decided that the "stroad" bike lane on Delaware Ave was not good for families so we used the river route to the park. Although there is temporary bike parking at the park it is not suited for heavy or family bikes so we locked to ourselves and went about exploring the park, using the games, the seating, hammocks, wadding fountain and eating the okay-ish food. After the park, Marni parted ways with group and we made our way to the Spruce Street buffered bike lanes and off to the Academy of Natural Sciences. 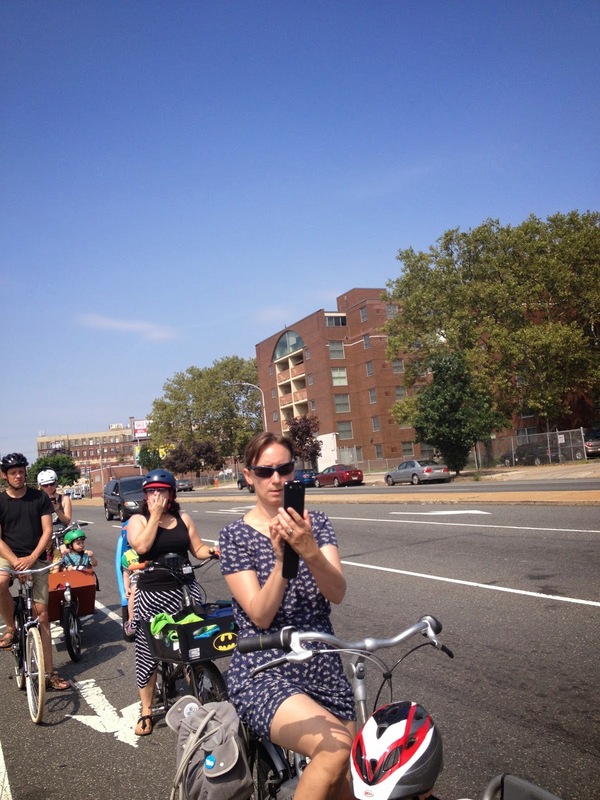 Suzanne, commented that the SS lane was one of the calmest city rides she had experienced, think if we actually separated out the track so cars couldn't park in them how even more nice it would be. At the museum the kids used the outside in facility on the third floor for a while and the adults chatted. Finally we made our way around Logan Circle (green bike lane ALERT) up to 20th Street and down Spring Garden to F&W to return all the things. All three kids piled back in my bicycle and we rode back towards our home. Half way down the trail my husband in full commuting lycra met us! Also a triple bike nap was achieved. We ended our 22ish mile ride with Mexican that night! Fun I hope was had by all! 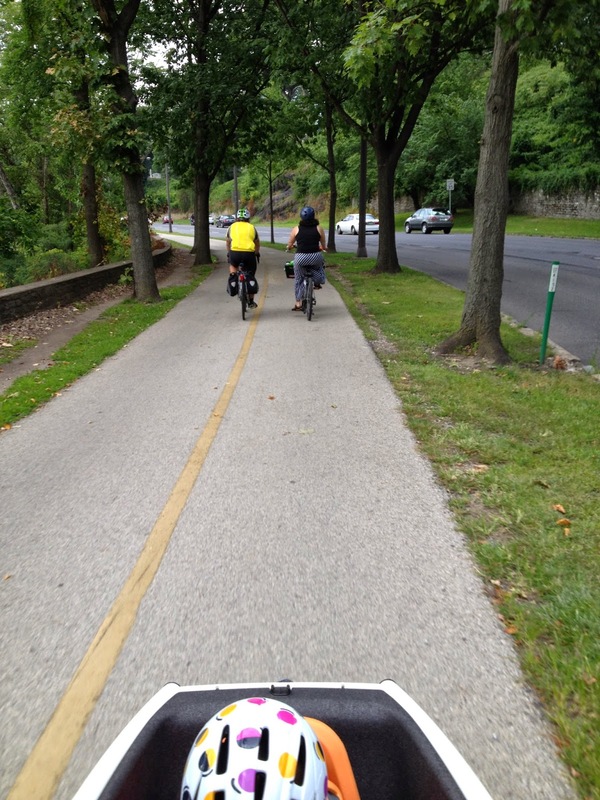 Finally, check out the video of some of our ride and Suzanne's recap of riding in Philly! United Nation s of Mama Biking Part Two from bikeMAMAdelphia on Vimeo.